Jet! The comet that the Rosetta spacecraft is visiting is shedding more dust as machine and Solar System body get closer to the Sun. While activity was first seen at the “neck” of the rubber-duckie shaped comet a few weeks ago, now scientists are seeing jets spring from across the comet. 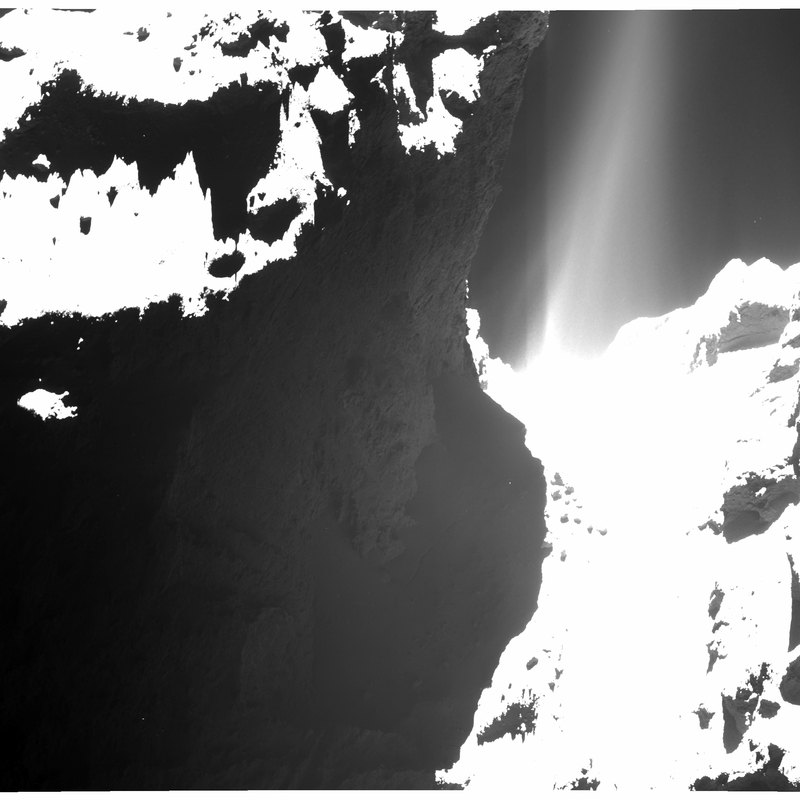 This is just one signal of cometary activity picking up as 67P gets closer to the Sun. For the moment, it appears the prime landing site is still safe enough for Philae to land on Nov. 19, officials said, while noting there is a jet about a kilometer away that the lander can study when it gets there. “At this point, we believe that a large fraction of the illuminated comet’s surface is displaying some level of activity,” stated Jean-Baptiste Vincent a scientist from the Optical, Spectroscopic, and Infrared Remote Imaging System (OSIRIS) that took the pictures. He is with the Max Planck Institute for Solar System Research in Germany. The comet is about 470 million kilometers (292 miles) from the Sun and will make its closest approach in 2015. Rosetta is the first mission to orbit a comet as it gets close to the Sun, and Philae (if successful) will make the first “soft” landing on a cometary surface. The long-awaited deployment of the Philae lander, currently “piggybacked” aboard ESA’s Rosetta spacecraft orbiting the nucleus of Comet 67P/Churyumov-Gerasimenko, will occur in less than a month and we now have our best look yet at the area now green-lighted for touchdown. The picture above, made from two images acquired by Rosetta’s OSIRIS imaging instrument, shows a 500-meter circle centered on “Site J,” a spot on the comet’s “head” carefully chosen by mission scientists as the best place in which Philae should land, explore, and ultimately travel around the Sun for the rest of its days. And as of today, it’s a GO! Site J was selected from among five other possible sites and was chosen because of the relative safety of its surface, its accessibility to consistent solar illumination, and the scientific and observational data it can make available to Philae’s suite of onboard instruments. “None of the candidate landing sites met all of the operational criteria at the 100% level, but Site J is clearly the best solution,” said Stephan Ulamec, Philae Lander Manager at the DLR German Aerospace Center. The mosaic above comprises two images taken by Rosetta’s OSIRIS (Optical, Spectroscopic, and Infrared Remote Imaging System) narrow-angle camera on Sept. 14 from a distance of about 30 km (18.6 miles). Image scale is 0.5 m/pixel. As Comet 67P/CG continues toward perihelion its outgassing and sublimation jetting will undoubtedly increase, and Philae will be getting a front-row seat to the action. Read more here on ESA’s Rosetta blog. So this spacecraft — taking this picture — is going to land on the surface of THAT comet. Doesn’t this give you a pit in your stomach? This is a selfie taken from the Philae spacecraft that, riding piggyback, captured the side of the Rosetta spacecraft orbiting Comet 67P/Churyumov-Gerasimenko. The image is so close-up — just 9.9 miles (16 kilometers) from 67P’s surface — that mission planners can even spot Landing Site J on the comet’s smaller lobe. “Two images, one with a short exposure time, one with a longer one, were combined to capture the whole dynamic range of the scene, from the bright parts of the solar arrays to the dark comet and the dark insulation cladding the Rosetta spacecraft,” the European Space Agency stated. It’s quite the zoom-in after the last selfie that Philae produced for the public in September, which was taken from 31 miles (50 kilometers) away. The spacecraft is expected to make the first touchdown ever on a comet next month. Rosetta, meanwhile, will keep following 67P as it gets closest to the sun in 2015, between the orbits of Earth and Mars. Tomorrow (Oct. 15), mission managers will announce if Site J is go or no go for a landing. More information is coming from Rosetta’s examination of the site from its new, lower altitude of 6.2 miles (10 kilometers). She’s gonna blow! Rosetta’s navigation camera recently grabbed our best view yet of the geyser-like jets spraying from the nucleus of Comet 67P/Churyumov-Gerasimenko. They were taken on September 26 as the spacecraft orbited the comet at a distance of just 16 miles (26 km) and show jets of water vapor and dust erupting from several discrete locations beneath the surface along the neck region of the comet’s nucleus. Mattias Malmer, a 3D technical director, created the spectacular 3D views by draping the navigation camera images over a 3D model of the comet and then photographing it from two slightly different perspectives. Jets form when the sun warms the comet’s coal-black surface, causing ices beneath to sublimate or change directly from solid to gas without becoming liquid. This is possible because of the near-zero atmospheric pressure at the comet. Pressure builds in the pockets of gas until they find escape through cracks or pores as plume-like jets. Comet dust along with the gas fashions the coma and tail over time. Something similar happens when you shake up a bottle of champagne and then loosen the cork. Trapped carbon dioxide (what makes the “fizz”) blasts the cork across the room. If you liked the still images, check out these videos by Malmer. He used the same draping technique and then animated the stills. Be sure to stop by his Cascade of Light blog for more images and videos when you get a chance. I saved the best for last. What majesty! The ‘head’ of the bizarre comet 67P/Churyumov-Gerasimenko has been selected as the primary landing site for the Rosetta spacecraft’s attached Philae lander, attempting mankind’s first ever landing on a comet in mid-November. Scientists leading the European Space Agency’s Rosetta mission announced the primary landing site at a media briefing today, Sept. 15, at ESA headquarters. After weeks of detailed study and debate focused on balancing scientific interest with finding a ‘technically feasible’ and safe Philae touchdown site, the team chose a target dubbed Site J as the primary landing site from among a list of five initially selected sites, said Stephan Ulamec, Philae Lander Manager at the DLR German Aerospace Center, at the briefing. “Site J is the primary landing site around the head of the comet,” Ulamec announced. He also made clear that there is still some landing uncertainty with the targeting of the lander onto the comet. Site J is an intriguing region on Comet 67P/Churyumov–Gerasimenko that offers unique scientific potential, with hints of activity nearby, and minimum risk to the lander compared to the other candidate sites, according to ESA. “As we have seen from recent close-up images, the comet is a beautiful but dramatic world – it is scientifically exciting, but its shape makes it operationally challenging,” says Ulamec. Philae’s history-making landing on comet 67P is currently scheduled for around Nov. 11, 2014, and will be entirely automatic. The 100 kg lander is equipped with 10 science instruments. “All of Rosetta’s instruments are supporting the landing site selection,” said Holger Sierks, principal investigator for Rosetta’s OSIRIS camera from the Max Planck Institute for Solar System Research in Gottingen, Germany. “Site J is just 500-600 meters away from some pits and an area of comet outgassing activity. They will become more active as we get closer to the sun. The team is in a race against time to select a suitable landing zone quickly and develop the complex landing sequence since the comet warms up and the surface becomes ever more active as it swings in closer to the sun and makes the landing ever more hazardous. Since the descent to the comet is passive it is only possible to predict that the landing point will place within a ‘landing ellipse’ typically a few hundred metres in size, the team elaborated. The three-legged lander will fire two harpoons and use ice screws to anchor itself to the 4 kilometer (2.5 mile) wide comet’s surface. Philae will collect stereo and panoramic images and also drill 20 to 30 centimeters into and sample its incredibly varied surface. “We will make the first ever in situ analysis of a comet at this site, giving us an unparalleled insight into the composition, structure and evolution of a comet,” says Jean-Pierre Bibring, a lead lander scientist and principal investigator of the CIVA instrument at the IAS in Orsay, France. 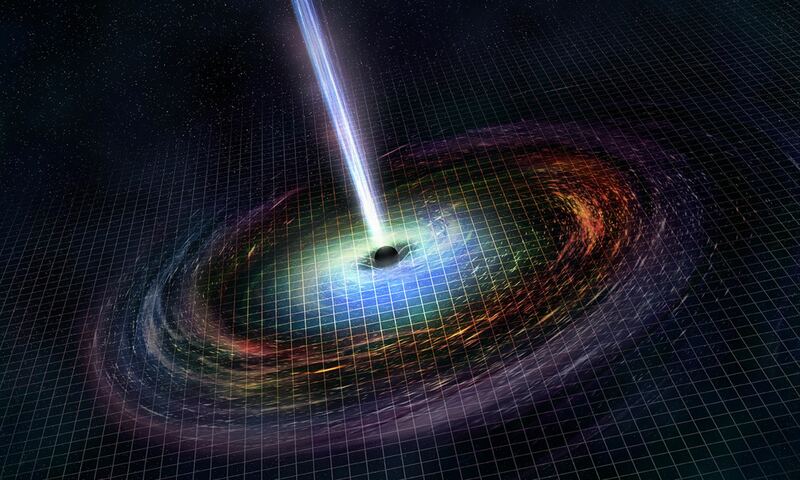 “We are in a true revolution of how we think Planets form and evolve,” Bibring elaborated at the briefing. Rosetta is currently orbiting the comet from a distance of 30 km, said ESA Rosetta flight director Andrea Accomazzo. He said it will likely go even closer to 20 km and perhaps 10 km. “Now that we’re closer to the comet, continued science and mapping operations will help us improve the analysis of the primary and backup landing sites,” says ESA Rosetta flight director Andrea Accomazzo. The final landing site selections were made at a meeting being held this weekend on 13 and 14 September 2014 between the Rosetta Lander Team and the Rosetta orbiter team at CNES in Toulouse, France. “No one has ever attempted to land on a comet before, so it is a real challenge,” says Fred Jansen, ESA Rosetta mission manager. Stay tuned here for Ken’s continuing Rosetta, Earth and Planetary science and human spaceflight news. This picture shows it is possible to look at Rosetta’s comet from Earth, but what a lot of work it requires! The picture you see above is a composite of 40 separate images taken by the Very Large Telescope (removing the background stars). Despite the fact that Rosetta is right next to Comet 67P/Churyumov–Gerasimenko, ground-based observatories are still useful because they provide the “big picture” on what the comet looks like and how it is behaving. It’s an observational challenge, however, as the comet is still more than 500 million kilometers (310 million miles) from the Sun and hard to see. On top of that, the European Space Agency says the comet is sitting in a spot in the sky where it is difficult to see it generally, as the Milky Way’s prominent starry band is just behind. But what can be seen is spectacular. And that dust is beginning to show up in Rosetta’s grain collector, as you can see below! 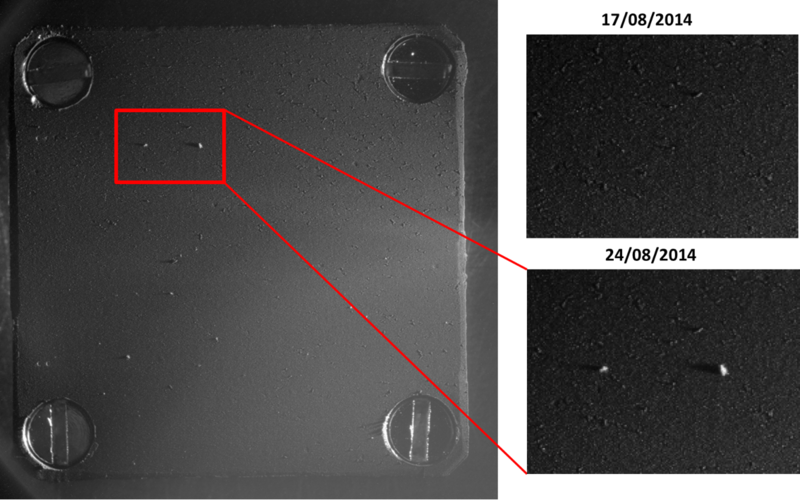 Rosetta’s Cometary Secondary Ion Mass Analyser (COSIMA) picked up several dust grains in August, which you can see in the image, and are now looking at the target plate more closely to figure out more about the dust grains. “Some will be selected for further analysis: the target plate will be moved to place each chosen grain under an ion gun which will then ablate the grain layer by layer. The material is then analyzed in a secondary ion mass spectrometer to determine its composition,” ESA stated. All of these results were presented today (Sept. 8) at the European Planetary Science Congress 2014. All the pictures we’ve seen of Rosetta’s target comet 67P/C-G show it reflecting brightly against the background of outer space. And well they should. Space is black as night. But if we were to see the comet against a more familiar earthly backdrop, we’d be shocked by its appearance. Instead of icy white, Rosetta’s would appear the color of a fresh asphalt parking lot. Most comets, including Rosetta’s, are no brighter than the charcoal briquettes you use to grill hamburgers. The brightest object in the solar system is Saturn’s icy moon Enceladus with a reflectivity of 99%. So why are comets so dark? It’s funny because before we sent the Giotto spacecraft to snap close-up pictures of Halley’s Comet in 1986, astronomers thought comets, being made of reflective ice, were naturally white. Not Halley and not every comet seen up close since then. Astronomers hypothesize that a comet grows a dark ‘skin’ both from accumulated dust and irradiation of its pristine ices by cosmic rays. Cosmic rays loosen oxygen atoms from water ice, freeing them to combine with simple carbon molecules present on comets to form larger, more complex and darker compounds resembling tars and crude oil. Over time, the comet can become insulated by dust and complex organic materials. Combined with a loss of ice to vaporization at each repeated swing past the sun, they stop outgassing and become inert or defunct comets similar to asteroids. And that might not be the end of the story. Occasionally, a dead comet or an object originally discovered as an asteroid can unexpectedly fire back up after years of inactivity and become a comet again temporarily. Astronomers call these peculiar critters ‘damocloids’. One wonders what you’d see if you could slice open a 67P/Churyumov-Gerasimenko. Would it resemble an Oreo cookie with a dark exterior and creamy white inside? 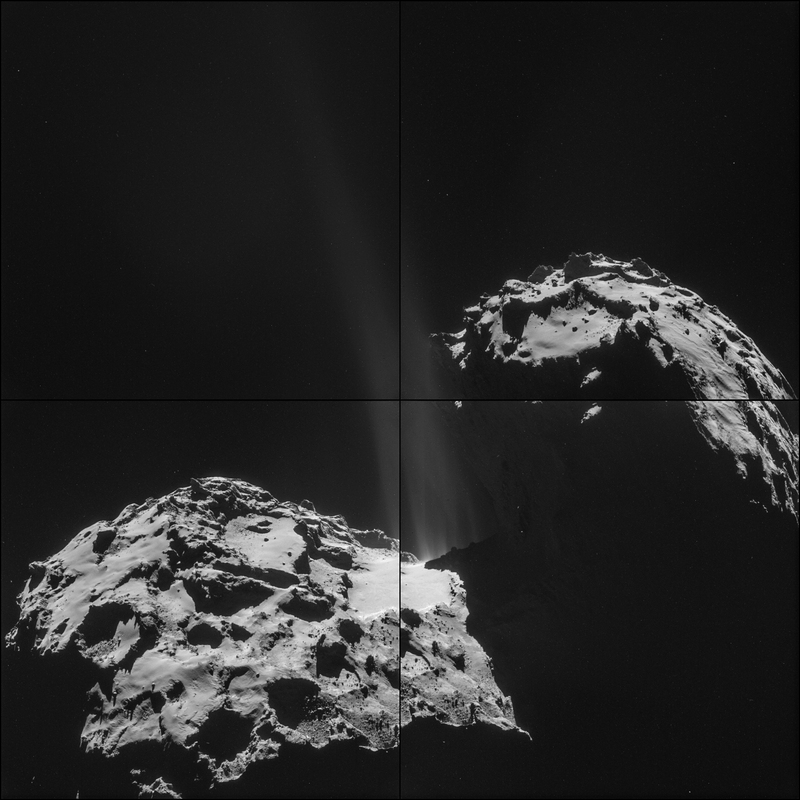 One of NASA’s instruments aboard Rosetta named Alice began mapping the comet last month. In its first far ultraviolet spectra of the surface, we learned just this week that 67P is “darker than charcoal black”. Alice also detected hydrogen and oxygen in the comet’s coma, or atmosphere. Rosetta scientists also discovered the comet’s surface so far shows no large water-ice patches. The team expected to see ice patches on the comet’s surface because it’s too far away for the sun’s warmth to turn its water into vapor. Hmmm … maybe it really is a giant cookie. How do asteroids hold their rubble piles together? Previously, scientists said it was a combination of friction and gravity. But new observations of asteroid 1950 DA reveals something else is at work. The asteroid is rotating too quickly for gravity to keep it together, so what’s going on? Cohesive forces refer to the act of individual molecules or particles sticking together. It’s the first time scientists have found this in action on an asteroid. Better yet, if confirmed in other asteroids this has implications for protecting Earth from a killer asteroid should one come our way. Now the researchers are interested in knowing if cohesive forces are also in action on Comet 67P/Churyumov–Gerasimenko — the comet being examined by Rosetta right now and in November, by the lander Philae. The study was published in the journal Nature. You always have a pair of those cardboard red-blue 3-D glasses by your desk, right? Well, grab them and take a look at this view of Comet 67P/Churyumov-Gerasimenko, just out from the Rosetta mission team. It almost feels like you’re right there with the spacecraft. Notice the cliffs (see the exposed layers there? ), boulders and depressions. The 3-D image was created using two images (you can see the two images here at the ESA blog) They were both taken on 7 August 2014, from a distance of 104 kilometres through the orange filter of the OSIRIS narrow-angle camera. ESA says the two images are separated by 17 minutes and the exposure time is 138 milliseconds. Mark your calendars, astronomy geeks: exactly one year from today, the comet the Rosetta spacecraft is chasing will make its closest approach to the Sun. As Comet 67P/Churyumov–Gerasimenko draws closer to the star, the radiation pressure will cause gas, ice and dust to stream off the comet in ever greater quantities, scientists expect. But that process is already starting. Preliminary measurements by a dust detector aboard the Rosetta spacecraft show that dust is at least as frequent — or perhaps even more abundant — than what models have predicted. Meanwhile, as reported on Universe Today earlier this week, Rosetta’s COSIMA instrument is also doing dust measurements. 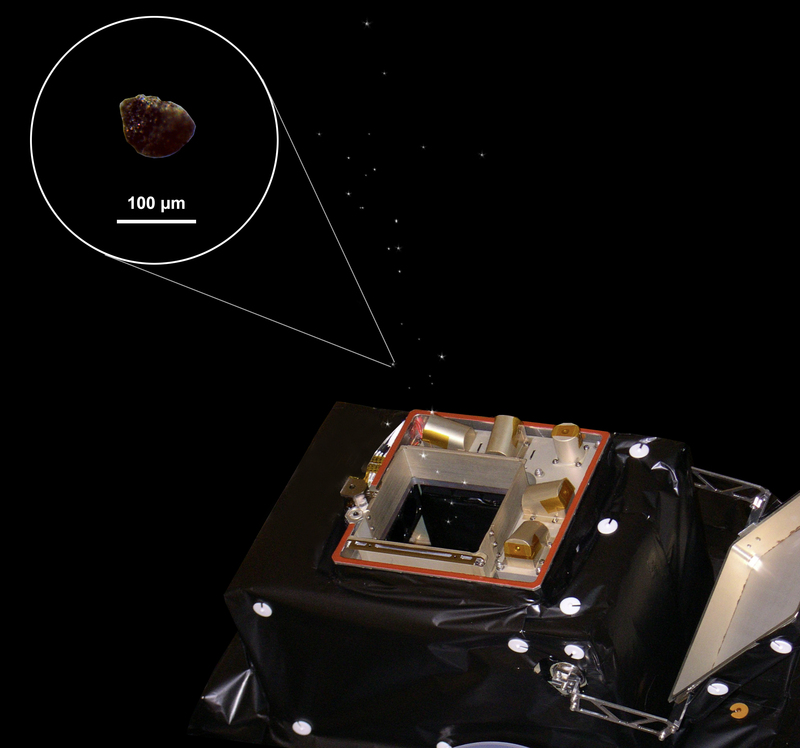 Rosetta’s Grain Impact Analyser and Dust Accumulator (GIADA) has already detected four dust grains on its impact sensor. The detections took place between Aug. 1 and Aug. 5 at various distances as Rosetta approached the comet, starting from as far as 814 kilometers (506 miles) to as close as 179 kilometers (111 miles). Rosetta arrived at the comet on Aug. 6. The first impact was just a tad higher than the detection limit for GIADA, scientists said. They also estimated how big the grains are based on how quickly they crash into the impact detector — anywhere from tens of microns (the width of a human hair) to a few hundreds of microns across. While the results are scientifically interesting, the European Space Agency pointed out that they will also have practical use. A lander called Philae is expected to touch down on the comet in November, so dust predictions will help planning for that. And for Rosetta itself, knowing the dust environment can help protect the spacecraft from strikes. “GIADA will also provide inputs to other instruments on-board Rosetta, and will help improve coma dust models in support of the Philae landing operations,” ESA stated. ESA added that the grains themselves are likely a mixture of silicates, organics and some other stuff. Ice from the nucleus surrounds the grains, and the ice itself becomes a gas when the Sun warms the comet. Dust surrounds the comet in a coma and as it gets closer to the Sun, it streams out as a tail.